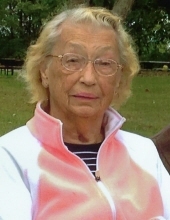 Elsie E. Simon (nee DeMuynck), age 94, a resident of Aurora, IL since 2000, formerly of Racine, WI and Warrenville, IL, passed away on Monday, April 1, 2019 at Edward Hospital in Naperville. She was born August 22, 1924 in Kansasville, WI. Beloved wife of George M. Simon, whom she married October 27, 1945, loving mother of Daryl (Lynda) Simon, Guy (Pat) Simon, Gene (Gloria) Simon, Pete (Karen) Simon, Shirley (Dave) Balika, Kathy Simon-Towle, John (Kimberly) Simon, Dave (Jean) Simon, Rob (Kristen) Simon and George Simon, adored grandmother of twenty-three, cherished great- grandmother of ten, devoted daughter of the late August and Emma DeMuynck, dear sister of Raymond (Noelle) DeMuynck and the late Louise (the late Camiel) Claeys, sister-in-law of Dorothy Jericho and Donald Simon, fond aunt, great-aunt and friend of many. Elsie grew up on a farm in Kansasville, WI and often told stories of hoeing onions and cleaning chicken coops. She was a proud valedictorian of her high school class and a graduate of Union Grove High School. Elsie developed a strong work ethic on the farm and worked at the Brass Works making munitions in Burlington, WI during World War II. Throughout the years, Elsie also worked at Wheaton Warrenville High School and Fermilab in Batavia, IL. Elsie was a loving, strong and devoted mother. With the heart of a saint she raised 10 children. Elsie’s quick wit entertained her family even as her days got more difficult. She was a member of St. Irene Catholic Church in Warrenville and the Ferry Road Club, a neighborhood women's group. In her caring manner she volunteered many years at the PADS Homeless Shelter in Aurora and generously donated to the food pantry. She was an avid Cubs fan and enjoyed fishing, traveling, crocheting, baking and spending time with her large family. She will be missed dearly by her family and George her devoted husband of 73 years. In George’s words, “there is another saint in heaven”. Visitation will be held Sunday, April 7, 3:00-7:00 PM at Friedrich-Jones Funeral Home & Cremation Services, 44 S. Mill St., Naperville, IL. A Mass of Christian Burial will be celebrated Monday, April 8, 10:00 AM at St. Irene Catholic Church, 28W531 Warrenville Rd., Warrenville, IL with Rev. Jim Antiporek officiating. Interment will follow at Assumption Cemetery, Wheaton, IL. To send flowers or a remembrance gift to the family of Elsie E. Simon, please visit our Tribute Store. "Email Address" would like to share the life celebration of Elsie E. Simon. Click on the "link" to go to share a favorite memory or leave a condolence message for the family.